Dagoba chocolate is a product I've been seeing turn up more and more in my local grocery stores. 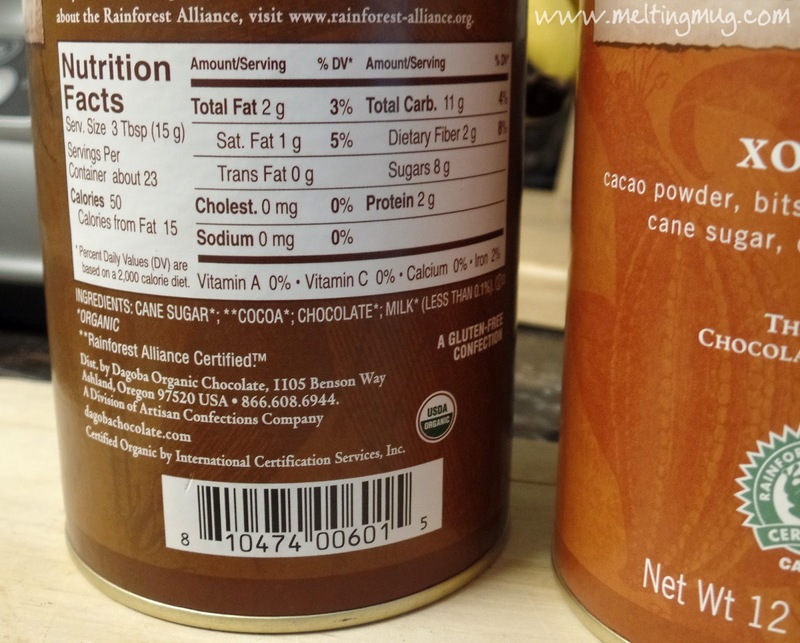 I started seeing it first in the baking chocolates, and later saw their drinking chocolates pop up in the hot cocoa aisle. Being a "Star Wars" fan my entire life, how could I not be drawn to this chocolate!? As always, we're going to enjoy a couple of their drinking chocolates for the review, but I did also grab their 100% unsweetened chocolate. It has a couple other ingredients in minuscule amounts (soy lecithin and milk), but it is still a very nice chocolate to work with. I picked up both the Authentic and the Xocolatl drinking chocolates. 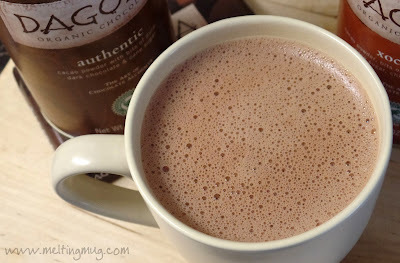 The Authentic is simply their dark hot chocolate, while the Xocolatl is flavored to represent the ancient Mexican drinking chocolates with some added cinnamon and chili. There's a small label on all their products showing a little frog. 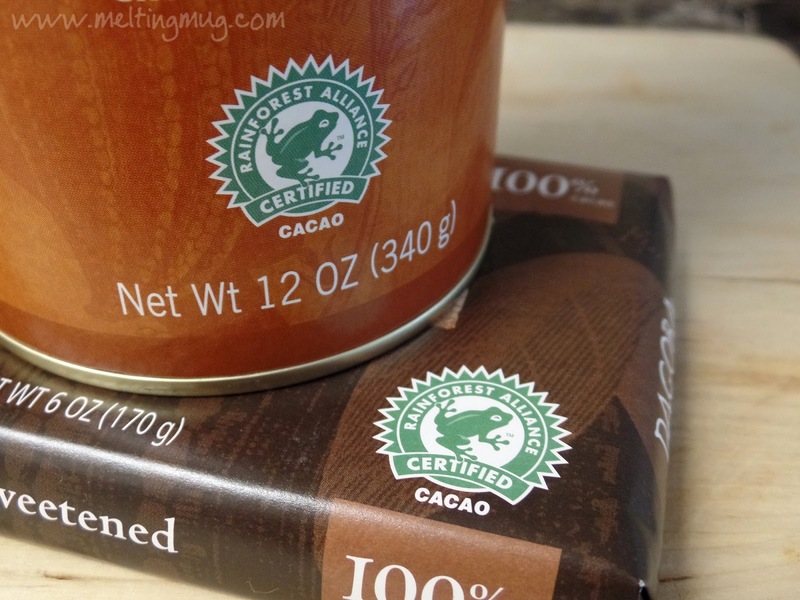 This is the Rainforest Alliance logo, and it's there because Dagoba is all about sustainability. 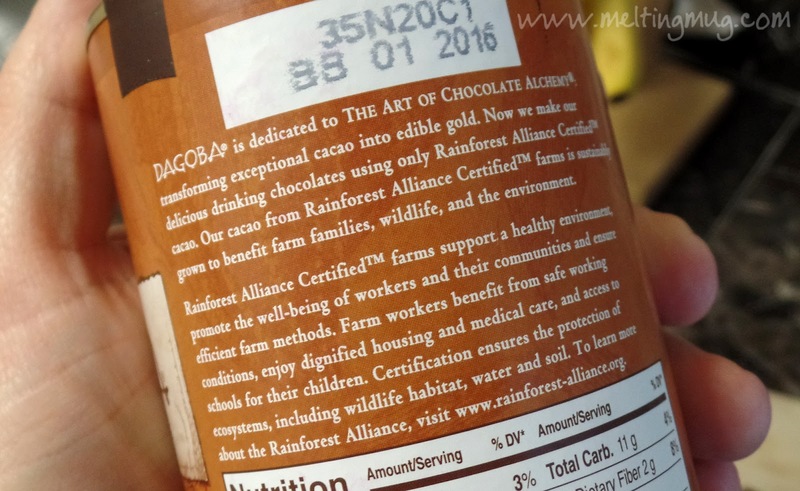 Taking care of the environment, the cacao workers, and their cacao farms. I'm all for this! 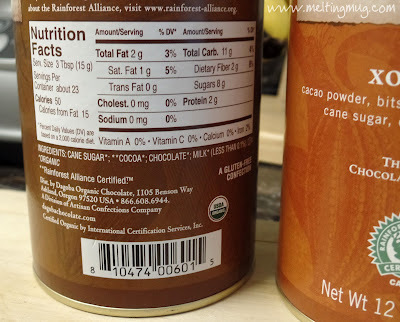 If cacao isn't sustained, that would mean no chocolate. That's not a world I want to live in! The ingredients on both products are nice and simple. A great, straight forward mix. It just seems so unnecessary to add in all the extra preservatives and stuff that most store bought hot chocolates have in them, especially once you taste a chocolate like this. So much more real chocolate flavor! Their instructions actually made me laugh a little. 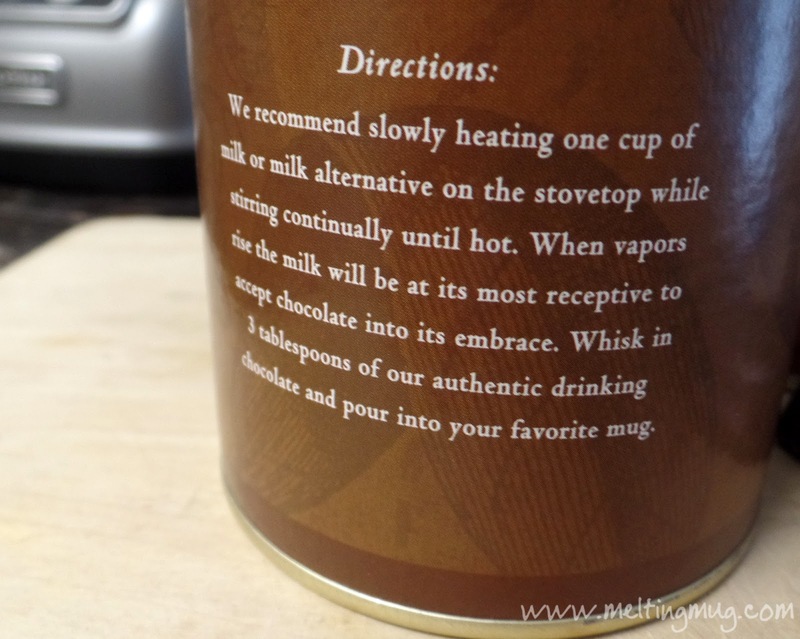 What a pleasant way to describe the act of heating milk and scooping this chocolate into it! 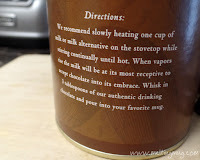 "When vapors rise, the milk will be at its most receptive to accept the chocolate into its embrace". Seriously, how awesome is that! The mix itself has nice chunks of real chocolate in it, which is great. Having the actual bits of whole chocolate in there is a definite improvement over mixes that only have cocoa powder. The fat (cocoa butter) from the chocolate really makes a difference in the smoothness. 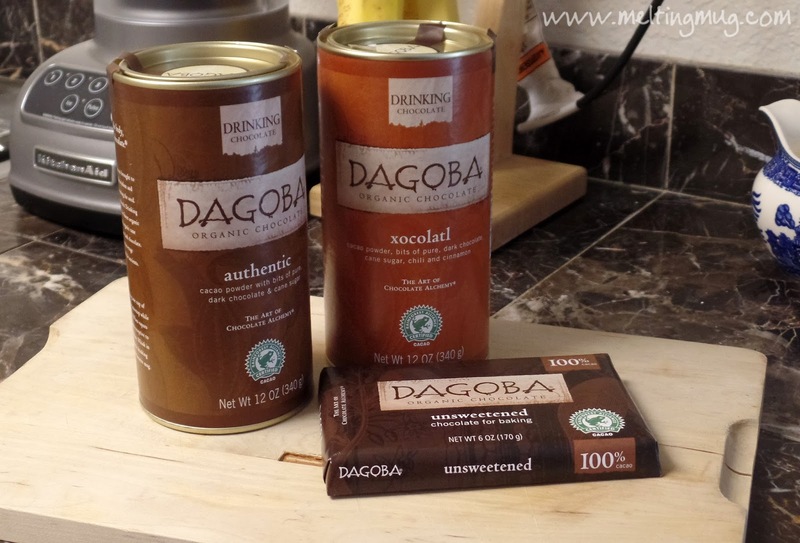 By the way, did you know what Dagoba means? A dagoba is a shrine for sacred relics in the Far East, usually pertaining to Buddha. 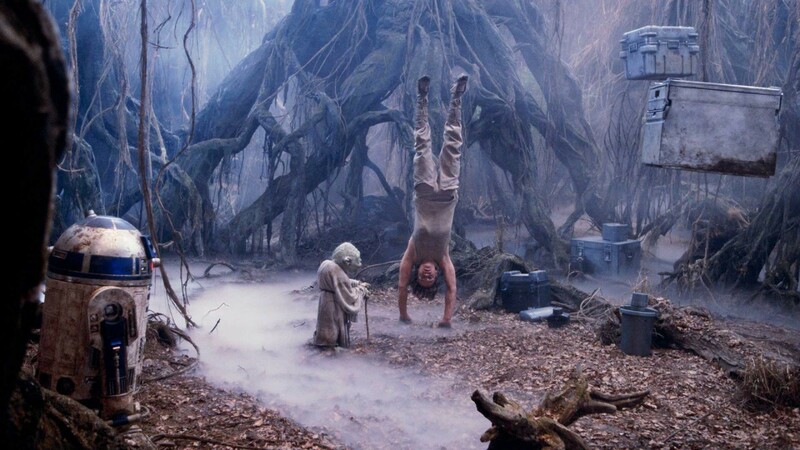 Kind of makes sense that George Lucas used it for the name of the planet where the wise Jedi Master Yoda was living in "The Empire Strikes Back". The Authentic has a rich, almost smoky flavor. Nice dark notes, but not bitter - it still manages to be sweet. 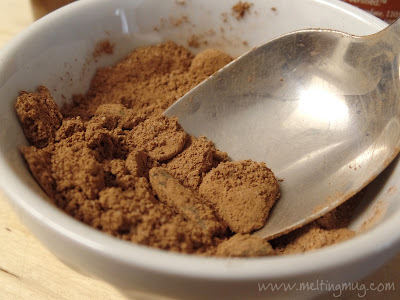 And as I always recommend, you can use just a little of the mix for a nice lighter breakfast hot chocolate, and then in the evening, use a lot for a rich after-dinner dessert drink. The Xocolatl is spicy, but not uncomfortably so. It's a very nice heat. The cinnamon is not as forward in this mix as in some other Mexican chocolates, but it's there, and it's a great addition. 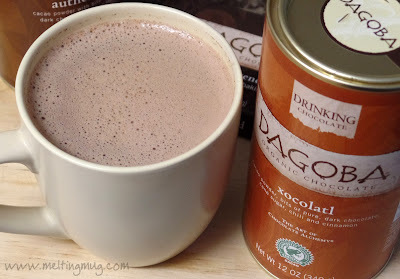 It'd be great to see Dagoba add a little more cinnamon to this mix and really make it pop! Both of these chocolates are wonderful and worth picking up. 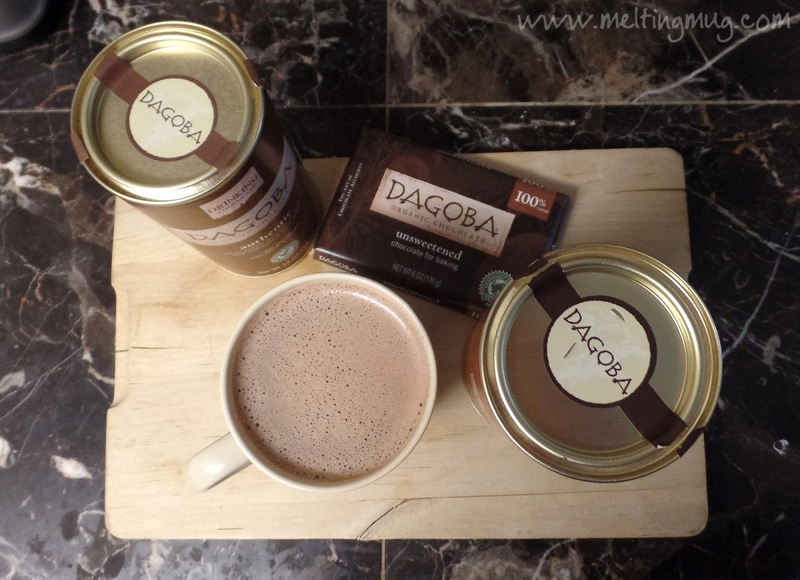 Dagoba drinking chocolates are a perfect replacement for those packets of powdered milk disguised as hot cocoa you're keeping in your cupboard or office. 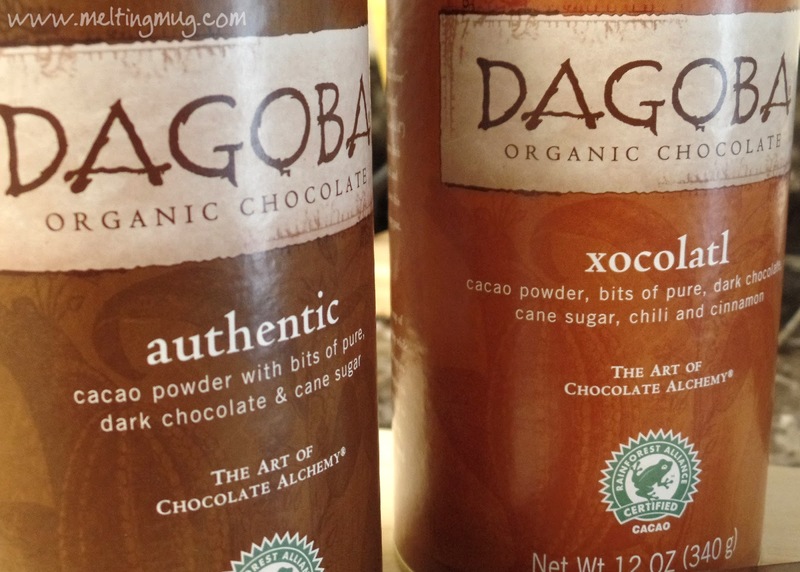 Hopefully there's a gourmet grocery store near you that carries them, but if not, you can always grab them at Dagoba's website. They have a couple other flavors there, as well, like Chai, which sounds great!